“We love what happens around the table.” That simple statement from VistaVino Modern Grill’s owner, Janine Glennon, embodies her and her husband’s, chef Michael Glennon, philosophy about their restaurant. 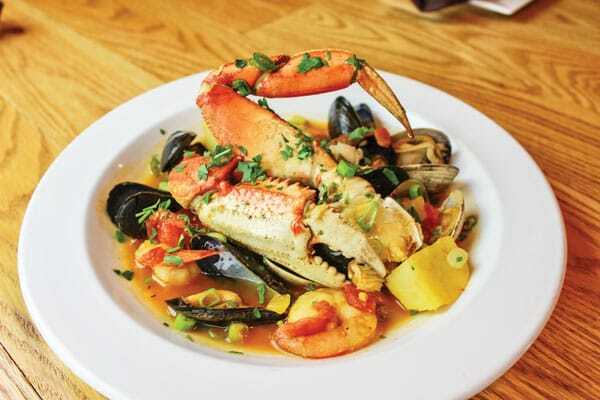 With a Tuscan-inspired menu, VistaVino is one of Castle Rock’s newest dining experiences. The Glennons’ love of hospitality and food is traced back to their families. Both households placed an emphasis on food and having meals together whether for ordinary dinners or entertaining. While some children got excited over blocks, Michael Glennon was captivated with his mother’s pasta machine. These longtime restaurateurs are no strangers to the industry. Michael started his career as a dishwasher and learned various positions while working at several restaurants, including the James Beard House in New York City. Janine worked as a restaurant’s bookkeeper and transitioned into the restaurant management area. 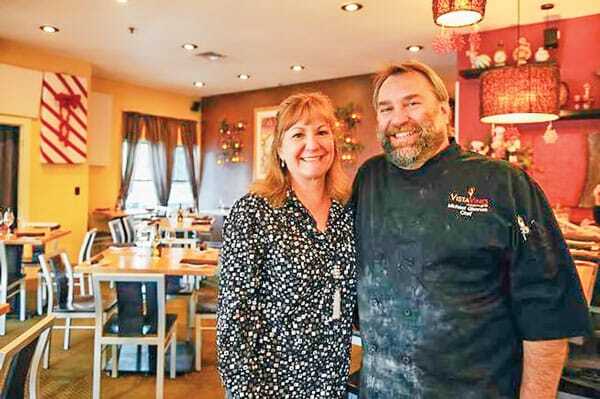 When each decided to move west from their respective east coast cities, they ended up in Vail where they ultimately met while working at Sweet Basil restaurant in the late 1980s. After branching out on their own, the Glennons owned and operated two successful restaurants in Avon (Vista restaurant) and Edwards (Vista at Arrowhead) before falling in love with Castle Rock. When an opportunity arose, the Glennons knew it was time to create a new “Vista” restaurant. VistaVino’s menu is bursting with creative selections. 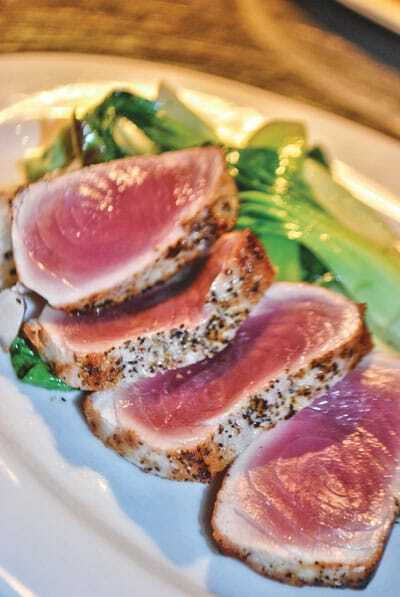 Chef Glennon’s dishes are Tuscan-inspired and boast traditional recipes such as Pasta Carbonara, as well as items with a twist like the Seared Rare Yellowfin Tuna, which has an Asian flair. There are also plenty of gluten-free options, such as Zucchini, Carrot and Beet Spaghetti. While diners might expect a side of olive oil with the complimentary bread, VistaVino offers Italian hummus, which is a delicious spread of white beans, lemon, and chives. Bold and simple flavors permeate the small and large plate offerings. 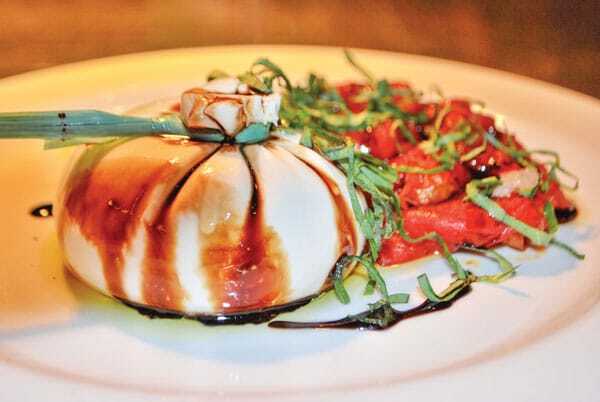 Diners can savor a selection from the small plate menu like the favorite Burrata Cheese with roasted Roma tomatoes, nutless pesto and aged balsamic or the Pear and Mascarpone Pasta Purses with browned butter, fig balsamic, fried sage and pine nuts, and make a meal out of the delicacies. If the appetizer special happens to be the Carrot and Ginger soup, which has a warm peppery flavor with a light spicy taste and gorgeous color, there is no need to look further. Chef Glennon’s large plate selections are mouthwatering delights, stimulating three out of the five senses. The Roasted Stuffed Chicken Breast, which is filled with spinach, mushroom, prosciutto stuffing with Pecorino Romano cheese and served with carrot and tomato wild rice risotto with a dollop of Italian parsley pecan pesto is one of VistaVino’s most requested meals. This simple but elegant dish’s chicken is tender and juicy with risotto that is a creamy, flavorful accompaniment. While there are a few menu items for children, you will not find baskets of crayons on the tables. Children are welcome, but VistaVino is an ideal restaurant for a date night. The sleek, open interior has a surprising urban look and feel. Whether you sit at the very popular community table overlooking the kitchen, in the intimate bar area or the cozy dining room, be sure to make reservations – especially if your date night includes the Valentine’s Day special on February 12 and 13. VistaVino seats 50 inside and an additional 30 on the porch in warmer weather. Dinner at VistaVino has the feel of being with friends, courtesy of the gracious staff. “We love to see people enjoy food,” said Janine. “It warms us inside.” The welcoming environment combined with the delectable food makes VistaVino a fantastic addition to the Castle Rock restaurant scene. Pull up a chair, and enjoy!